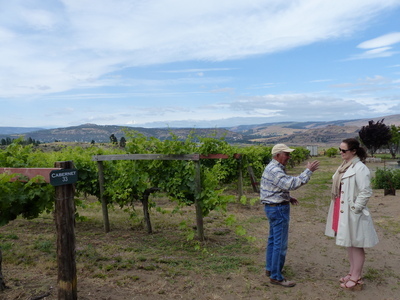 Don Graves gives Linfield College archivist Rachael Woody a tour of his vineyard. Linfield College Archives, "Don Graves Property Tour 05" (2014). Graves Vineyards Interview Photos. Image. Submission 1.